Why is taking a college tour important? Choosing a college can be a daunting experience. There are so many options. It costs so much money. How do you decide on the best college choice? A college tour visit is a key factor in making the big decision and choosing the right college. Being prepared for the college tour ensures you get the maximum advantage from your visit. 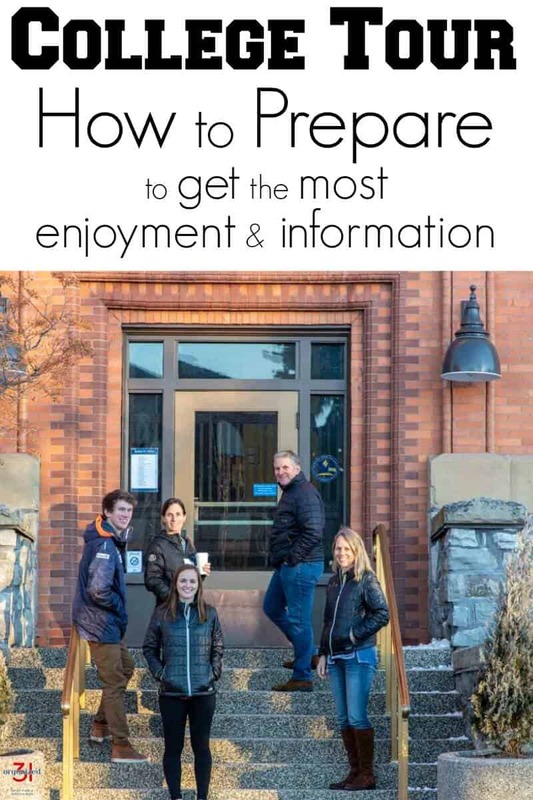 My friend, Moira, at College Scoops knows all about how to prep for a college tour visit. 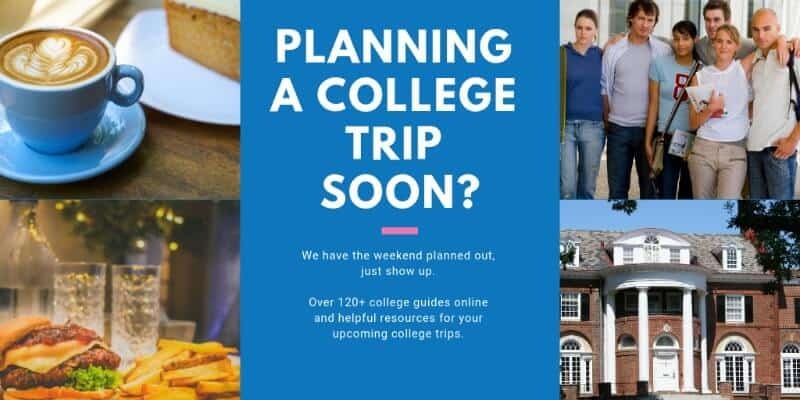 She took her college search experiences with her three children and created a one-stop resource for student and parents providing the resources needed to save time, money and stress when planning a college trip. As spring break approaches for high school students, we hear from parents who are anxiously preparing their students for college visits. Parents planning college trips want to know how they can actually integrate fun for the family into their school visits. Kids are stressed out enough trying to manage their grades, sports, extracurricular activities, community service hours, jobs, and college applications while trying to manage their parents’ expectations. College Scoops knows this because we have ‘been there and done that’. When planning our first college trip with my son and daughter, I had my list and they each had their lists. I quickly realized I did not want to go through their last two years of high school arguing or driving in silence to colleges I wanted to see but they didn’t. Take it from me; always have a Plan B in your back pocket. Traveling is fun but it is also exhausting. 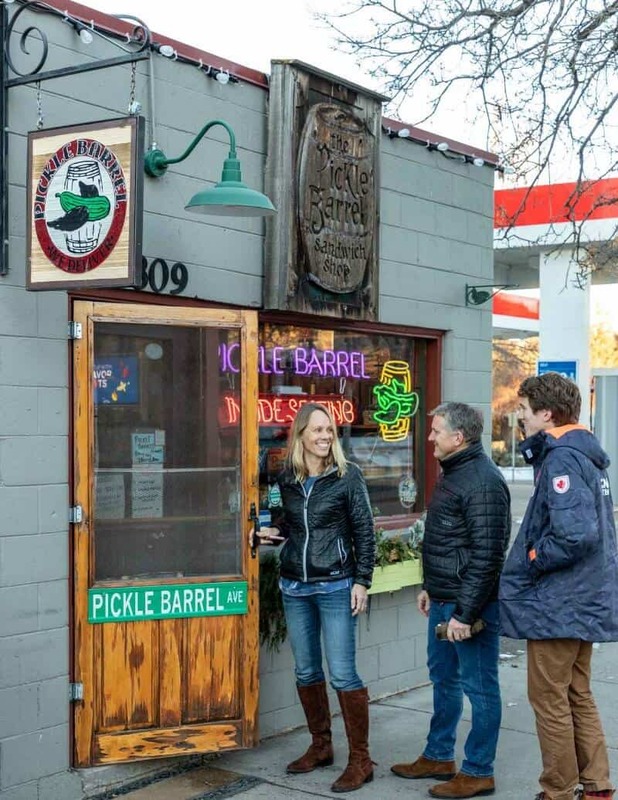 Many times other factors come into play and disrupt travel plans (snow storms, car troubles, flight delays, or a twisted ankle from falling during the college tour – yes, this did happen). However, once you have a back up plan, there is no need to stress. During our college visits, my kids also learned it was a good idea to have a handful of questions lined up in the event of an impromptu interview with the Dean of Admissions (this did happen) or to ask during the information session. These questions also come in handy when you’re ‘lucky’ enough to be the only ones in attendance. My son found out how useful his prepared questions were when he was ‘flying solo’ on a college visit. Mom got credit for actually suggesting something which was key to a successful college visit. We also agreed it was a good idea to arrive early for the tours and information sessions in the event of parking issues, change in venues, or better yet, not having to sit in the last available seat in the auditorium…the front row. I learned early on to let my son or daughter choose the tour guide they wanted to follow while I brought up the rear. Initially, my son and daughter were not interested in connecting with kids from our home town who were attending a college we were planning to visit. Once they actually did contact a friend who had graduated from their high school prior to their college visit, they quickly learned this was a real valuable thing to do. They always tried to schedule a quick coffee or walk around campus with a current student to get the inside scoops on Greek life, academics, clubs, roommates, and of course, the cafeteria food. Lastly, I am all about the food. Wherever we are, I always have a list of places to go. Depending on what everyone’s appetite is, I am ready with a list of suggestions. As food is the great social connector, a dining or snacking experience never fails to create great times and memories. As a means to validate my list, my son decided early on to take the reins on several trips and conduct his own research. He would linger after every tour and ask the tour guides what barbecue spot they craved and where to go to satisfy a sweet tooth. He made some adjustments to our itinerary and in the end, our times together truly were wonderful experiences. One day I heard my older son describing one of our trips to his younger brother. I stopped short when I heard, “James you will have a great time traveling with mom when it is your turn. I promise you.” I smiled and thought two down and one to go. Making the time to prepare for a college tour ensures that you’ll maximize the benefit and enjoyment of the visit. This is an opportunity to spend quality time with your child and support him or her in making an important and often difficult decision. Make the most of each college tour.